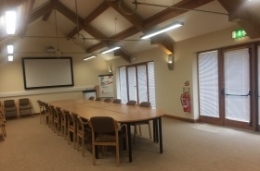 SWHS have a large professional meeting room for hire at our office in Rooksbridge, Somerset - perfect for group training or meetings. On the 7th November 2018 South Western Housing Society hosted a Chartered Institute of Housing training event covering the Introduction to Social Housing. If you have a maintenance emergency whilst the office is closed please use the out of hours telephone numbers (see below). Please remember, if your call is deemed to not be urgent you will be charged for any callout that you request. An insight into our work.